The Sinseo MediValley is a USD$4.3 billion national government-led medical clusters that is helping companies develop new drugs and design cutting edge medical devices. The keystone to the site is the Daegeu Gyeongbuk Medical Innovation Fund (DGMIF) that provides access to drug lab, devices testing, and lab trials. THE DGMIF is a world-class venue for not only conducting research, but also hosting national and international conferences with a purpose built communications centre. The DGMIF also provides access to relevant regulatory bodies such as the Korea Food & Drug Administration (KFDA) and the Korea Institute of Toxicology. Apart from the DGMIF there are also specialized research centers in neurosurgery, oriental medicine and 3D convergence technologies. 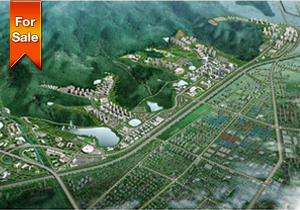 Nestled into wonderful foothills and close to well established residential areas, Sinseo Medivally provides a wonderful living environment as well as a world class medical innovation facilities. Major Facilities: Product R&D tools, Prototype production machines and facilities, Product assessment equipment for EMI/EM test, Electro-mechanical safety test, Bio-compatibility Test etc. Function: Production and supply of clinical trial materials (CTM) in compliance with international GMP standards.